DIESER WAGEN STEHT ZUM VERKAUF, bitte kontaktieren Sie mich bei Interesse. This Clio V6 is the youngest 'classic' car in my collection. It is a phantastic car to drive, though it is a cruiser and not a racer. And it is so beautiful, everybody should have one of these! My recommendation: get yourself one of these, you will like it! Für Interessenten: Dieser Clio V6 Phase 2 von 2006 steht zum Verkauf! Bei Interesse bitte über das Kontaktformular melden. 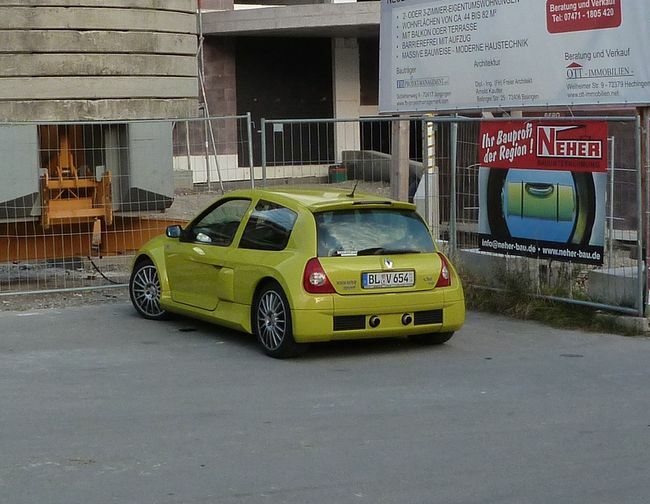 This Clio V6 phase 2 is for sale - Cette Clio V6 phase 2 est à vendre.